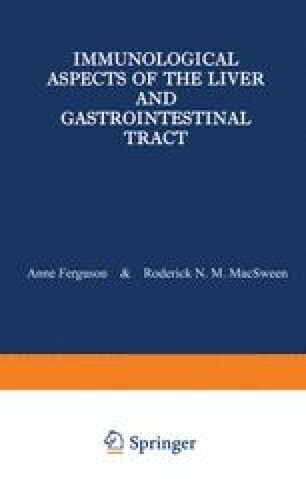 Food intolerance has many manifestations and as many causes— psychological aversion to the sight, smell or taste of food, maldigestion and malabsorption syndromes, toxic effects of food additives or contaminants, and true allergy, when the clinical disease is the result of an immunologically mediated hypersensitivity reaction to a dietary antigen. In the case of gastrointestinal food allergy, an immunological basis has been inferred from positive family history of allergy, the presence of serum, secretion or reaginic antibodies to food allergens, tests of lymphocyte function and immunological effects of food challenge. Although the same type and range of evidence in favour of gluten hypersensitivity is present for celiac disease, there is still debate as to whether this permanent gluten intolerance has a biochemical or an immunological basis. However, the clinical, pathological and immunological features of these two diseases are so similar that the conclusion that both are due to hypersensitivity or allergy to foods seems inescapable.